I recently read a CFO.com article1 in which the authors discussed the demanding processes a CFO will be required to address when a private equity partner enters the picture. There’s no question that taking on a private equity partner will result in changes and increased responsibility for CFOs who aren’t used to institutional ownership. Among the expectations of a private equity partner on the CFO are strict adherence to reporting deadlines, an enhanced focus on cash and liquidity, the ability to provide actionable financial insight, an understanding of key performance indicators (KPIs), and a focus on value creation over the length of the investment. While changes in company ownership will certainly produce anxiety and challenges for CFOs, adjusting to these expectations shouldn’t be one of them. Why? Because most of these expectations should already be in place in the pre-sponsor environment. For example, timely closings, consistent reporting, and measurement and monitoring of appropriate KPIs are components that all finance departments should provide to management. 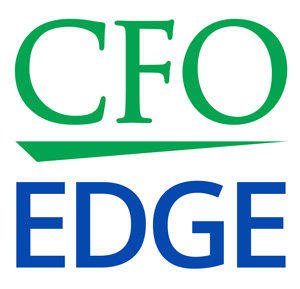 The CFOs of PE-backed companies see the need to optimize financial and operational processes. For example, faster closes and reducing manual inputs by using technology will allow for drilling down deeper into data that will provide significant visibility into the numbers. Private equity partners enter with changes in capital structure, usually within a leveraged environment. Therefore, there is an enhanced focus on cash and liquidity. Lack of confidence from investors. Inability to provide actionable financial insight. Delays in implementation of initiatives due to ill-preparedness. Develop a toolset that drives visibility into financial and operational performance. Devise a system that highlights a quantifiable understanding of business drivers. Effectively track progress of value creation initiatives. Identify critical skill sets and team-assessments to improve function and processes. An enhanced ability to respond to critical questions and determine the root causes of both negative and positive outcomes. More accurate measurement of the right KPIs. Early and proactive identification of issues and challenges. Increased investment profitability and growth of EBITDA. Successful value creation with a mutually rewarding exit for all parties. Taking on a private equity partner will result in changes and increased responsibility for CFOs who aren’t used to institutional ownership. CFOs must understand the value creation plan that the new private equity-backed ownership is seeking. The challenge is providing the new institutional investment group with ongoing, accurate insight into the company’s financial and operational performance. An outsourced CFO services provider can help you meet the expectations of a new private equity partner for timely closings, consistent reporting and a focus on value creation over the length of the investment.